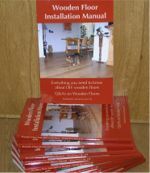 Over the last months we've compiled various Wood Floor Guides on various subjects and the list is growing. Most guides contain easy steps on how to...., based on our own experiences and there for you. From "How to install your floor like a professional" to Case study on water damage. Many also contain a list of products we highly recommend, because we use them ourselves for the best results. Which of these two wood floor finishes is best - oil or varnish? Advice if you are buying real wood floors "11 key questions check-list"
Thanks for he links! There is a lot of good information on this blog, and I really have enjoyed it very much! Thanks for sharing!